Today, I wanted to talk a little bit about one of my recently acquired, now favorite pastimes: thrifting. Now, I’m not the tradtional “thrifter,” so to speak. You won’t find me wandering about in other people’s flannel, with the hipster swagger many San Franciscans have become famous for. I’m also total rubbish at crafting, despite my love of Pinterest. To give you an idea, I’ve written a little bit about my past finds here. I’m a fan of saying that I like to look like a million bucks without spending exactly that much. I often refer to my thrifting habit as “treasure hunting.” What makes it so fun is finding fabulous things among the mundane, a pair of Italian leather boots, perfectly preserved vintage dresses, and silk skirts- you name it. I even once found a blouse I was drooling over at J.Crew and considering paying $80 for (on sale, mind you). I ended up buying it for $3. I’ve gained a bit of experience doing all this meandering around thrift stores, so I thought I might share a few of my amateur-thrifter tips with you here. 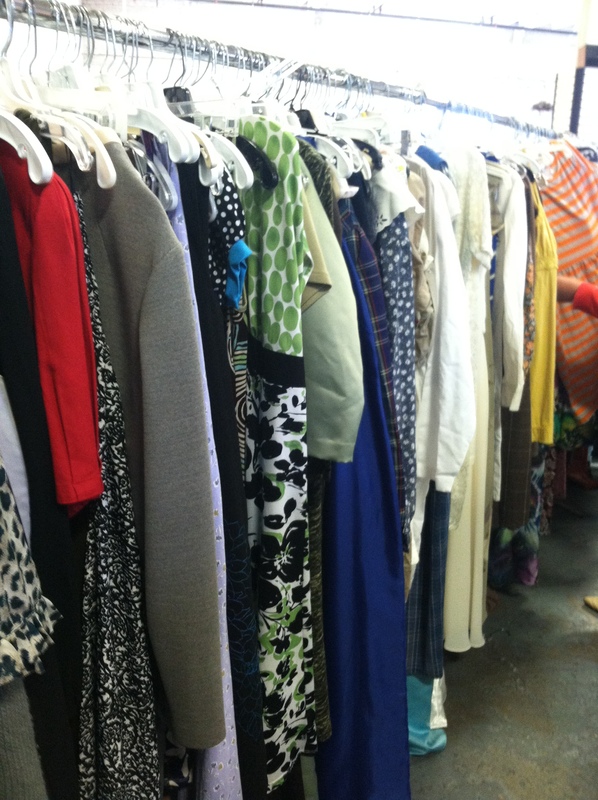 First thing you need to know about thrifting is that you need to be patient, diligent, even. Get in there! Push some things aside and comb through the racks. I go through one hanger at a time so as not to miss anything. Everything is so crammed in together, you never know what you’re missing. Last time I went to the local Goodwill, I found a silk Diane Von Furstenberg dress between something from Forever 21 and someone’s old prom dress. You never know! Next, pay close attention to the things at the end of each rack. People tend to abandon things that they have found here. Same goes for the distinct gaps in the racks. That Banana Republic sweater might have been too small for someone else, but it could be perfect for you! If you do find something potentially wonderful, make sure to inspect it carefully. A little makeup on a neckline will come out easily when washed, but some set-in red wine will not. Make sure all zippers are functional, and be extra careful that any cashmere or wool you might find doesn’t have any pesky, hard-to-mend holes. Like Injuries of the Knee Joint. So fun! 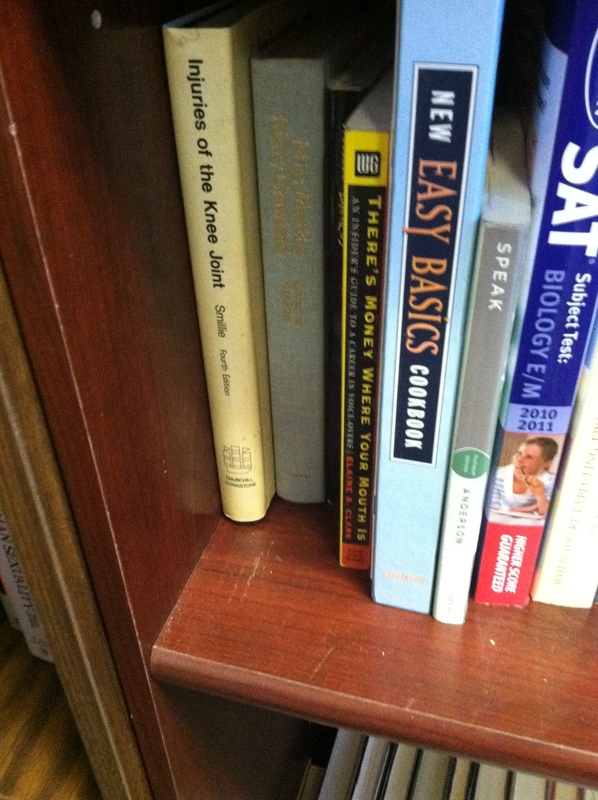 You’ll probably also find political non-fiction, study guides for every test known to man, and weird, meat-centric cookbooks. It’s the quirkiest library ever! Also, don’t forget about the kitchenwares section. I’ve found the most beautiful etched wine glasses there, and even a brand new French press. So, the next time you find yourself sitting around on a dreary day, consider popping on over to your local thrift store. You just never know what you’ll find! This is great, Eva! I especially like the tip to check the ends of racks to see what people have abandoned. I’ll have to do that more!